The need of safer raw material, derived from renewable sources is the motor driving the growing interest towards natural biopolymers. γ-PGA is an anionic polymer produced by Bacilli, formed by thousands glutamic acid units. Due to its non-toxicity, the water solubility and biodegradability it finds application in several biotechnological fields as: flocculant for heavy metal removal, cryoprotectant, humectant, thickening additive in cosmetics and food industries, as biological glue, as drug or vaccine carrier or scaffold for biomedical engineering. However, for its full industrial exploitation it is mandatory to reduce production costs, both increasing bacterial productivity and reducing fermentation costs. Our Lab has obtained a producer strain derived from the B. subtilis lab strain, 168, fully characterized. The availability of a well defined strain, which is genetically amendable, offers the opportunity to apply genetic engineering to improve productivity and rationalize metabolic pathways for lowering fermentation costs. By introducing specific mutations we already obtained strains that show high product yield. Now, the aim is to obtain a producer able to ferment organic components contained in some agro-industrial by-products. We plan to take advantage of both rice straw, an abundant biomass currently under-exploited, and raw glycerol, a co-product in the biodiesel industry as bacterial feedstock. The meeting of the above objectives will not only lead to cheaper γ-PGA, but will also contribute to the valorization of the rice and biodiesel production chains and reinforce the development of new bio-economy sectors. This research line is currently funded by two CARIPLO FOUNDATION grants. C. Calvio, C. Seppi; in collaboration with C. Morelli form the Dept. of Chemistry (Statale University of Milan) and A. Pastore, Dept. of Molecular Medicine (University of Pavia). We identified and characterized four new genes of B. subtilis that code for γ-PGA hydrolases. We found that those gene are phage-derived and spread across bacteria through horizontal gene transfer. We also identified γ-PGA coding capacity in several microbial species, among which several pathogens. We are now tryng to analyze the role of γ-PGA in the virulence behavior in some of those species and the possible use of the γ-PGA hydrolase and antibacterial agents. In Bacillus subtilis the two-component system DegS-DegU controls the expression of one hundred of genes involved in the exponential-to stationary phase of growth transition, coordinates single cells differentiation in multicellular communities and in pathogenic species, as Listeria monocytogenes or Bacillus anthracis, is involved in virulence. It has been shown that DegU regulates B. subtilis motility in a complex way. Also SwrA a protein which has no similarity to previously characterized proteins, is involved in such complex regulation. We have shown that there is a functional and molecular interaction between the two proteins, DegU and SwrA, in motility and now would like to extend our analyses to other genetic pathways DegU-regulated. This research line is focused on whole-genome sequencing of large numbers of strains of nosocomial pathogens. 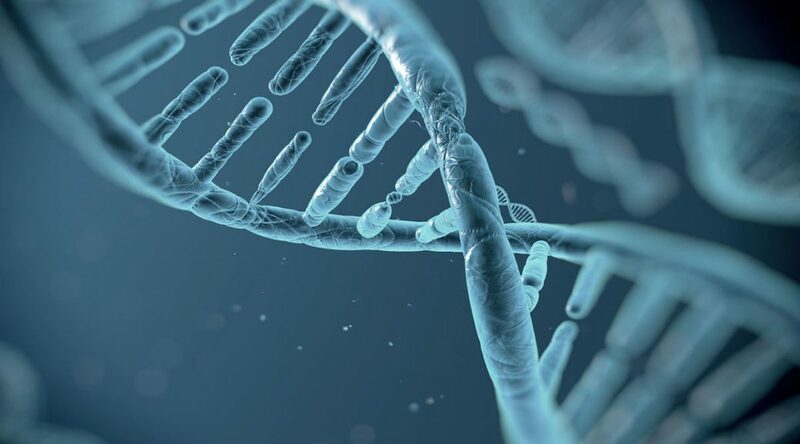 The genomes thus generated are analyzed using bioinformatics tools, some developed ad-hoc, for the comparative genomic and genomic epidemiology analysis. The genomics of nosocomial pathogens allows to evaluate the genomic variability, the presence and mobility of virulence factors and antibiotic resistance, describe recombination events and overall architecture of genomic variations. This approach leads to applicative outcomes, such as the ability to reconstruct epidemic events and to identify transmission patterns, to characterize strains of interest based on the resistance and virulence profiles, and to approach the objective of using genomics in diagnostic microbiology. Midichloria mitochondrii: bacterium order Rickettsiales, symbiont of the tick Ixodes ricinus, has the unique ability to localize within the mitochondria of host cells. We are currently working to understand the role of bacteria in the physiology of the tick, through an integrated approach of electron microscopy, transcriptomics and proteomics. In parallel we are looking for bacteria phylogenetically related to M. mitochondrii other host with genomic techniques. Symbiotic yeasts: yeast strains may have a role of symbionts in different species of arthropods, including vectors of important diseases. With a multidisciplinary project coupling electron microscopy and comparative genomics, we are investigating the presence and role of the yeast species Wickeramomyces anomalus and Meyerozyma guilliermondii in mosquitoes and sandflies. The use of the RNA-seq methodology allows the evaluation of changes in gene expression at the whole transcriptome level. In this line of research we investigate these changes in arthropods that are vectors of diseases of great medical interest, mosquitoes and ticks, during the course of the life cycle or in response to specific stimuli, such as the presence of insecticide molecules. The goal is to understand fundamental aspects of the biology of these vectors, as well as specific responses to treatments, in order to design innovative control strategies.